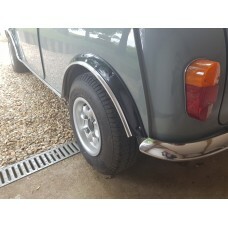 Unlike many composite wheel arches on the market, our wheel arches are supplied with pre-fitted brackets, making it even easier for you to fit them to you car. 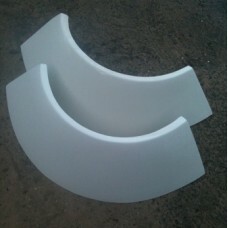 These are the traditional looking Group 2 wheel arches with the more defined bolt hole recesses. .. 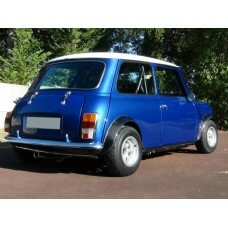 These are wider versions of the traditional looking Group 2 wheel arches. 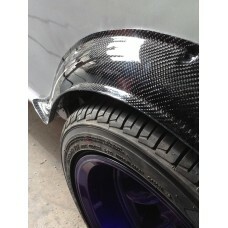 They mount with visible..
Group 5 wheel arches available in exposed weave carbon fibre and fibreglass. Very lightweig..
Top quality black rubber arch strip suitable for achieving a neat and accurate fit on any of our ..
A great wheel arch as it is so universal. You can trim the arch to suit the width of your wheels,.. These are based on the original Rover sports pack arch. Be warned of cheap rubber versions which ..
Top quality p section arch strip suitable for the neat fitting of sportspack, group two, five and.. The Wood and Pickett arches are a great alternative to the Group 2 arch. They are the same width .. 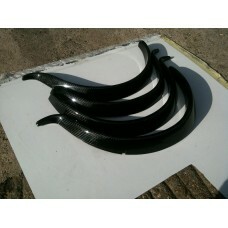 These are our famous 8" wide 'Mega Miglia Arches' and one of the widest arches on the market.&nbs.. 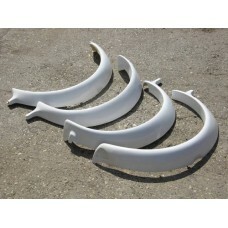 Included is a set (20) of wheel arch brackets, as supplied bonded to our popular sportspack arch ..